The Merrill Gardens at Rolling Hills Estates project is now underway! 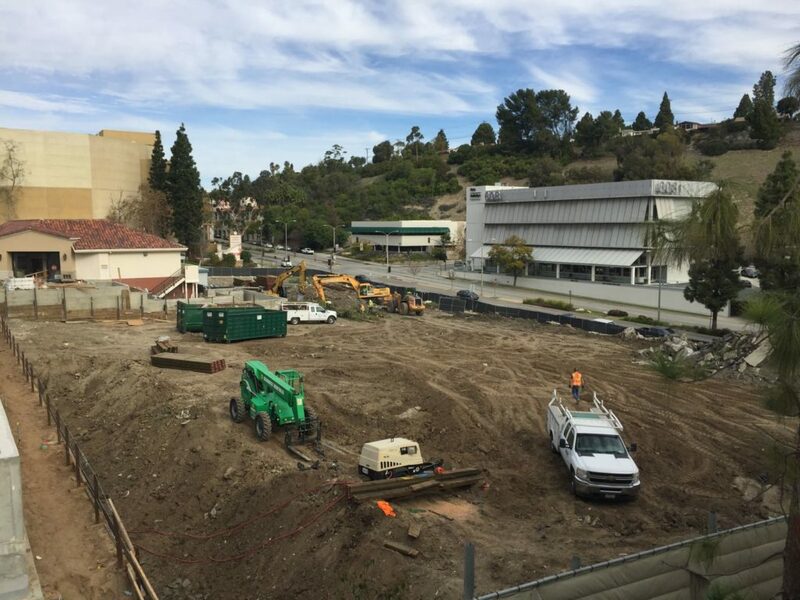 Site demolition is nearly complete, shoring installation is ongoing and mass export will begin in the coming weeks in preparation for more than 200 40′ deep auger cast piles. Merrill Gardens at Rolling Hills Estates is a 114-unit senior housing project with 20 Memory Care and 94 Assisted Living units. The project will bring luxury senior apartments to the Palos Verdes Peninsula. The project team is lead by Bill Robinson (Project Manager), Randy Dedrick (Superintendent), Carlos Martinez (Project Engineer), and George Ramirez (Site Foreman). We are looking forward to developing a great relationship with the neighbors, the PVLD Peninsula Center Library and the Peninsula Shopping Center throughout the course of this project!